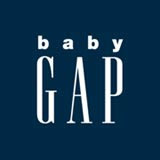 Babblings of a Mommy: My BabyGap Addiction. I swear nearly EVERYTHING in my daughter's closet is Gap right now! There are a few other brands that I'm going write about soon but can you blame me?! Their clothes are super cute and if they had them in my size I'm pretty sure I would be wearing them too. GIRLS: The new girls collection is all about muted purples, grays, and blues creating this really pretty soft palette. BOYS: I am really loving this bright mustard, with soft blues/grays, and touches of beige color scheme in the boys collection. Do you love BabyGap too? What kids stores are you obsessed with?? I LOVE Baby Gap! I also buy a lot of clothes for my son at Target - they always have fun/unusual stuff! Oh I also love Baby Gap! There is a Gap Factory Outlet close to where we live & they have Gap baby clothes for next to nothing. My friend went one day & got a black garbage bag full of Gap baby clothes for a total of $40!!! And they all looked perfect - nothing even wrong with them!! I plan on making a trip there at the end of the summer! oh honey, i know! i love it too. for boys it's tough but my other weakness is the Polo Ralph Lauren outlet. To see men's clothes for babies kills me. I make Sebastian and Leo wear matching clothes. It almost makes not having a girl dress ok. I LOVE GAP! Since Patric Robinson took over as the Creative Director, GAP had become a powerful kids' fashion authority. Oh, it's impossible to name just one place. I love H&M, I love Akademiks.com, I love Zara Kids, 77kids.com, Crazy 8 sometimes and a lot more! I am a total Baby Gapaholic for my children and it has now progressed into Gap Kids since they are 5 and 2. We have two huge outlet malls within 45 mins of us and whenever I am there I have to stop in and the kids always leave with a couple new pieces!